Tuesday, Wednesday, Thursday and Sunday are non-arrival days. Please e-mail for dates & prices are upon application, passes are not included but easily purchase upon arrival from reception. There is a NON refundable deposit required on booking, we also require a £100 returnable bond in case of any damage, which will be refunded once you have vacated after your holiday, and we have had time to check there is no damage and everything is in working order. WE REQUIRE THE BALANCE TO BE PAID IN FULL 10 WEEKS PRIOR TO THE ARRIVAL DATE, VIA BANK TRANSFER ONLY. Sorry, we dont take hen or stag bookings. 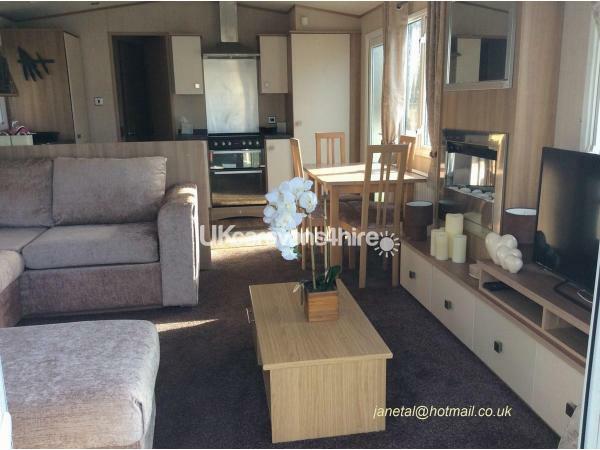 Excellent newly refurbished, beautiful three bedroom caravan situated on the Haven, Marton Mere Holiday Village, Blackpool, with everything you need for an enjoyable holiday. This Haven holiday village, has excellent on site facilities within a small walking distance, including a newly renovated pub & restaurant, on site club with daytime & evening entertainment available, passes can be purchased the full details are below, swimming pool, convenience store, take away, mini amusement arcade, laundrette, nature reserve, the village has excellent ammenitites, everything to make a happy and memorable stay! 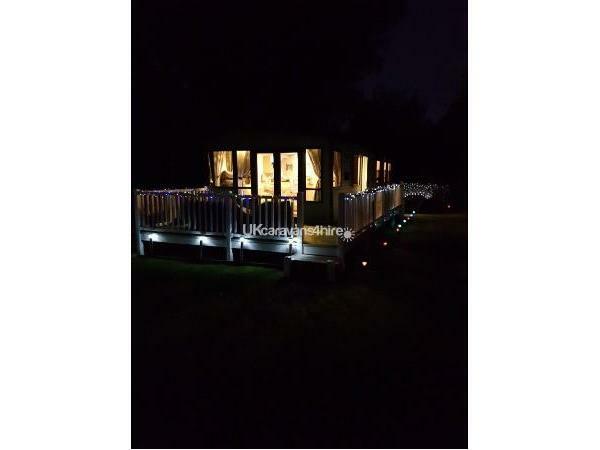 This beautifully decorated luxury caravan, is 12ft by 38ft, ideally situated & tucked away in a corner location, with private parking. 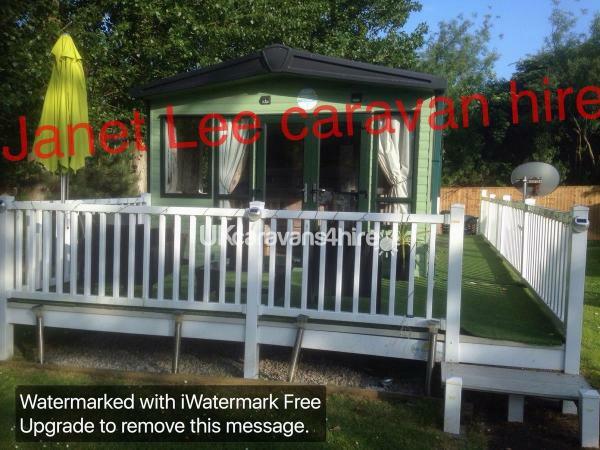 The caravan sleeps up to 7 people, with wifi as standard, one of a small few caravan's with wifi available on the site. Comprises of three bedrooms, one double with en-suite toilet & TV, two additonal bedrooms with single beds, seperate shower room facilities, large lounge & dining area with a brand new 40'' TV with amazon fire stick, with a selection of films available, & wifi, a newly refurbished corner settee with pull out bed facility & electric fire. Lovely outdoor space with a fully decked veranda & seperate BBQ area both with seating, private parking, conveniently located, on a Haven site with excellent entertainment and ammenitites. 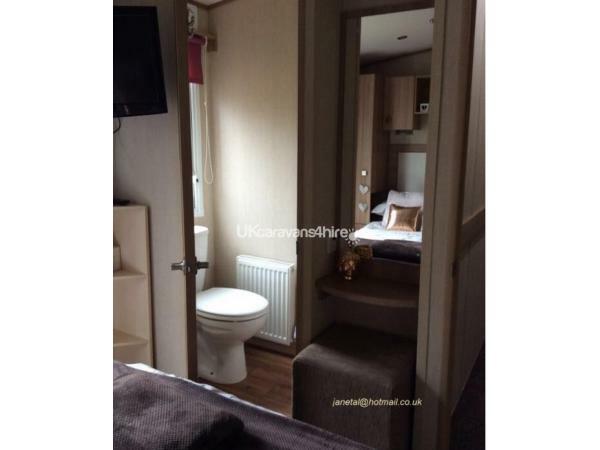 Master bedroom, This room has a double bed, 27'' wall mounted TV and toilet ensuite. There are two other bedrooms, one with room has two single beds, the other has one single bed and soon to be added monitor & gaming chair with a desk & internet, enabling you to play on a gaming console (not provided) and also a single bed. 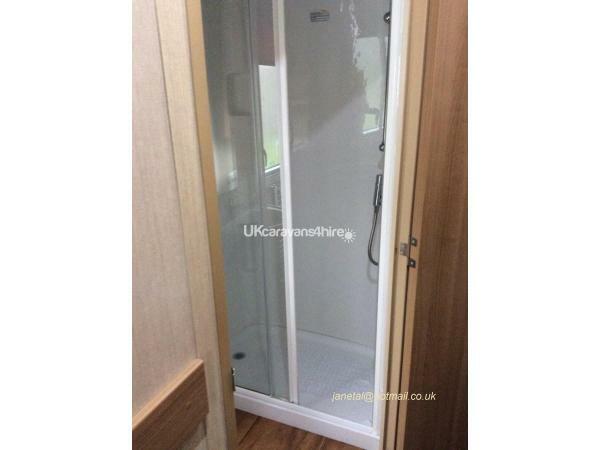 Amazing power shower & toilet & basin with towel radiator. Kitchen, Dining & Lounge area. 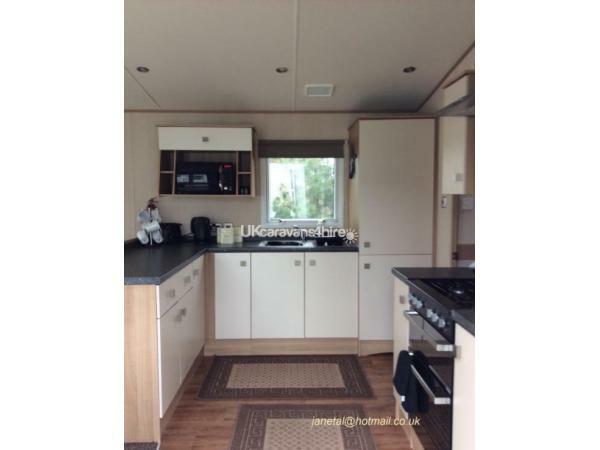 All gas appliances & cooking utensils, microwave, kettle and toaster provided, dining area with table and chairs. The comfortable lounge area has a newly refurbished large corner settee with pull out bed facility, new 40'' TV with amazon fire stick and films available, electric fire. 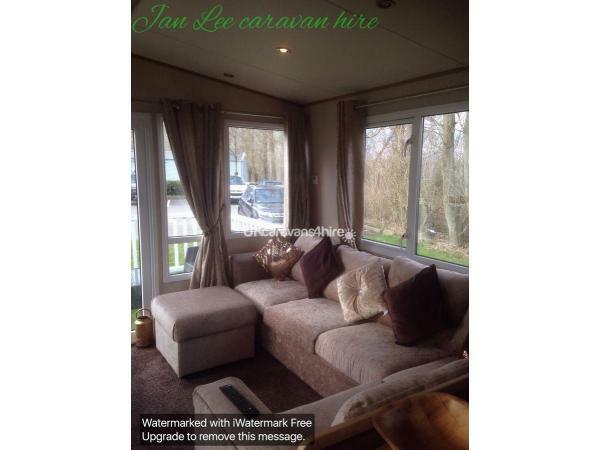 The caravan is fully heated through out for comfort. Outdoor BBQ & Dining area. 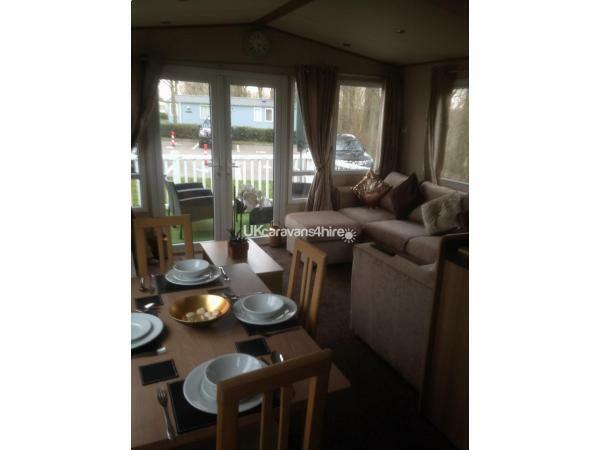 Situated in a lovely corner plot location, tucked away for privacy, with a fully decked veranda to the front of the caravan with a seating area, also at the side is an additonal BBQ dining area, with table and chairs, everything you need to cook and serve, and enjoy outdoor dining. We are also situated just five minutes walk from the on site bus stop, with buses that run frequently, and give you easy access to enjoy everything that Blackpool has to offer day and night! There is also a selection of retail parks, supermarkets, close by & also food take aways some of which that provide delivery onto the site. We will provide quilts, bedding, pillows just bring your towels. Sorry, the caravan is no smoking or pets allowed. Parking. Couples families welcome, No single groups stags or hens allowed. Tuesday, Wednesday, Thursday and Sunday are non-arrival days. Other options are available upon enquiry. Please e-mail for dates, passes are not included but easily purchase upon arrival from reception. Passes during off peak season, 7 nights £26 per adult, £13.50 per child, 3/4 nights £21 per adult, £11 per child. Check in time is 2pm and check out is 10am. There is a NON refundable deposit required on booking, we also require a £75 returnable bond in case of any damage, which will be refunded once you have vacated after your holiday, and we have had time to check there is no damage and everything is in working order. WE REQUIRE THE BALANCE TO BE PAID IN FULL 4 WEEKS PRIOR TO THE ARRIVAL DATE, VIA BANK TRANSFER ONLY. We hope that you choose to book with us, and have an enjoyable and lovely stay! Additional Info: This Haven holiday village, has excellent on site facilities within a small walking distance with a newly refurbished pub & restaurant, on site club with daytime and evening entertainment available with passes, swimming pool, shop, take away, mini amusement arcade, nature reserve, the village has everything to make a happy and memorable stay! Beautiful and clean caravan. Lovely modern and cosy decor. Beds and sofa really comfortable. Shower fantastic. Firestick and internet was a brilliant touch. Great communication with owner. Beds made upon arrival, and really comfy. Everything you need for a family holiday with a touch of home comfort. Highly recommend! Lovely stay in the caravan had everything we needed and more than expected such as tea towel, hand towel, toilet rolls. Had a lot of homely touches. 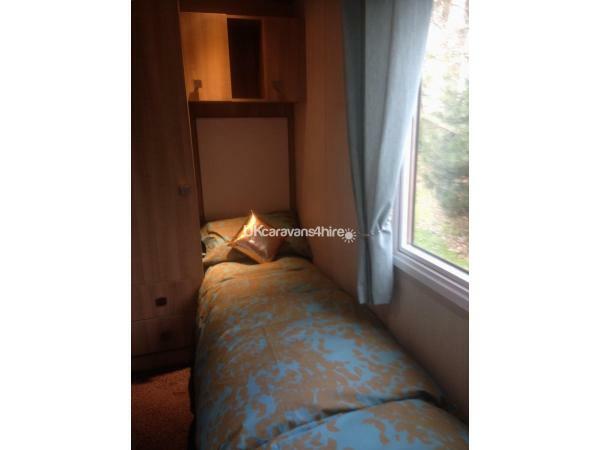 Comfy beds and all bedding provided with beds made up on arrival. Great having WiFi which worked really well. Great shower. Warmest caravan we have stayed in having proper radiators and an easy to switch on fire. We had a great stay thank you. 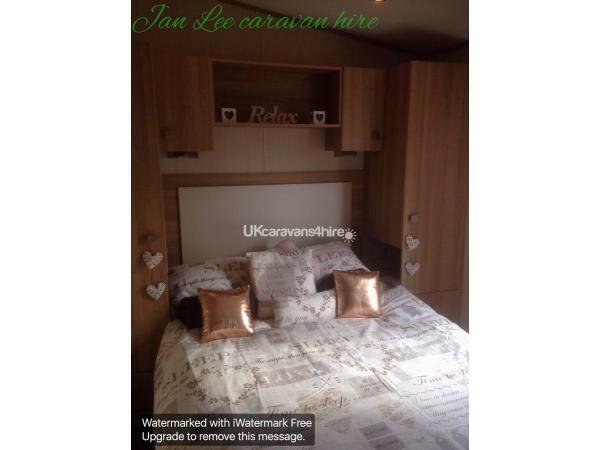 Fantastic caravan far better value for money than haven caravans.games room and internet a definite bonus and Karl makes sure that everything is provided for and all u need to bring is towels. Thanks glad ya had a good stay.